Our replacement Sash Windows are manufactured to the highest standard by craftsmen who have over 30 years of experience in carpentry and joinery. The wood we use is chosen by us from a sustainable source making it environmentally friendly. These are hardwood timbers and therefore are more durable than the softwood equivalent. We also like to give you the customer, a choice in the preference of timber species used in your joinery. (provided your choice of timbers is of an acceptable durability standard). Our windows are fully draught stripped and are double glazed with energy efficient glass. Our standard double glazed unit specification being 4mm ”soft coat” or planitherm total + glass to the internal face of the unit, and a 12mm minimum air gap; this air gap being argon gas filled. The Swiss “Warm edge” space bar which separates the two units being available in white or brown. To complement your choice of internal finishing i.e. painted or natural/oiled. 4mm float glass on the external face completes the double glazed unit. This double glazed unit specification will turn your new or existing window into a “A “rated energy efficient window, with a “U” value of 1.4. But without compromising on the windows appearance. With the use of the “Warm edge” Swiss bar within the double glazed unit, you get a seamless double glazed appearance. 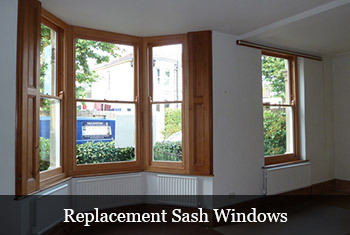 The good news is that we not only manufacture and install complete sliding box sash windows. We can fit new purpose made, double glazed sashes into your existing box frames. With the large majority of existing Victorian/Edwardian timbers within box frame windows, still being in sound condition. 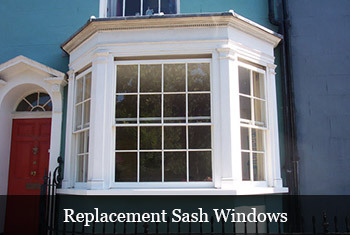 So not only can you save money, rather than replacing the complete sash window. You are also helping the environment by keeping as much of the original timbers within your box frame window as possible. When you replace your existing single glazed sashes with purpose made double glazed sashes you will certainly reap the rewards of warmer rooms and noise reduction. Options are available with Acoustic/ phob/ stadip silence glass. Our aim is to provide you with double/single glazed joinery of the highest standard. Giving you the choice in the type of sustainable hardwood/softwood timbers, we manufacture your joinery from. Giving you the choice of paint colours and finishes. And also giving you the preference of types, and finishes, in a wide variety of the window furniture/ironmongery available. Internal window board and inner lining timber species are also options available to you. Making your finished joinery unique. See our photo gallery for an insight into the different options available to you.